Hymn: "Will you Come and Follow Me?" Dean of the Cathedral: Does anyone have any formal objection to this woman being consecrated as a bishop in the Church of England? Especially remembering she's not exactly the first and we've been through this rigmarole several times now. Dean of the Cathedral: Oh deep joy. Go on then. Let's hear it. Objector: Not in the Bible. Archbishop: Not in the Bible? Listen, matey. My funny hat's not in the Bible. Having Archdeacons ain't in the Bible. Calling people "Father" is explicitly banned in the Bible. Cathedrals aren't in the Bible. Singing "I the Lord of Sea and Sky" at every ordination, consecration, licensing and every service in every Training Scheme since 2004 ain't in the Bible. This is the Church of England. If we only did the stuff in the Bible we'd sing a couple of psalms, give our money to the poor, and go home to do good works. Of course it's not in the Bible. Objector: Just saying. If I'd known you would get so touchy I wouldn't have brought it up. Dean of the Cathedral: Does anyone have any sensible objection to this woman being consecrated in the Church of England? Congregation who have really had enough by now, and haven't seen a sight of a gin and tonic for anything up to an hour: No. Can we just crack on? This isn't rocket science. We've done it all before now. Hymn: "I the Lord of Sea and Sky"
Jesus: I'm appointing some male disciples. Omnes: Push off, you bigot. Jesus: OK, but don't let anyone call you "Father"
Dennis Skinner always gets away with his interjection prior to the Queen’s Speech, but they are generally funnier than "Not in the Bible". Yes, I wrote the bishop as John Cleese in the "Parrot Sketch". 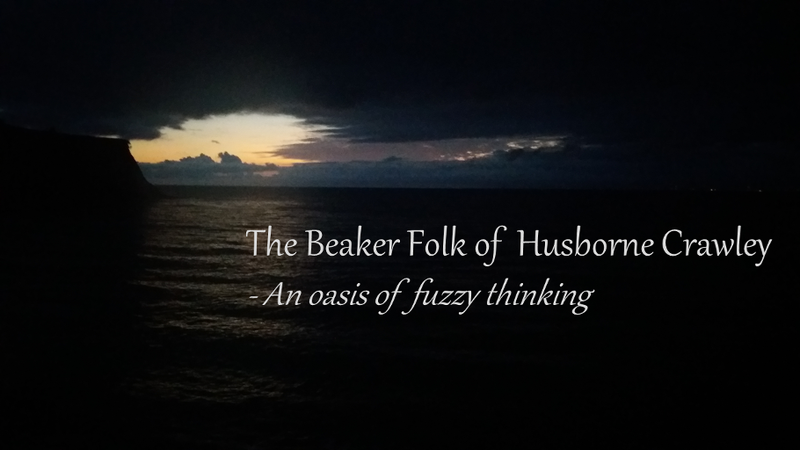 Great Blog this one, witty but to the point...oh and I can't abide singing 'I the Lord of Sea and Sky' anymore...Its right up there with All things B&B!! Now there are lady Bishops in your Church, is there any bar to the appointment (or election, I don't know how this works) of a lady as an Archbishop? Can we look forward to a lady Archbishop of Canterbury, perhaps in time to crown King William V? Only asking, honestly. May I respectfully and heartily agree with Alex regarding the respective merits of both the above hymns and Shine Jesus Shine. Charles, in my church you can't get any higher than Archdruid. And we're not letting blokes have that job. We need people with calm heads, no testosterone and no random aggressive instincts. In the C of E the concept of "Archbishops" is one of rank not order. So now there can be female bishops there can be a female archbishop. Or, to really throw the cat among the pigeons, ideally two. Erm, like Catherine the Great, Elisabeth Bathory, Margaret Thatcher? All of whom (in their very different ways, I hastily add) struck terror into those around them. Seems to me that once women have the same powers as men, they act in a remarkably similar way, and sometmes worse! Remember what Cato said. Yes, Charles, but Cato was a man, wasn't he?